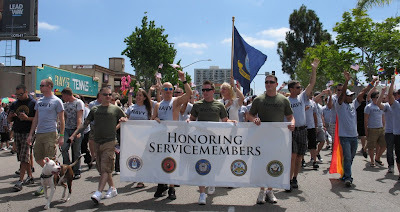 Some 300 active-duty troops (the majority of the contingent) and veterans marched in San Diego's LGBT Pride parade today. As far as we can determine, it was the first time this has happened in the United States in any sort of organized way. It was a symbolic goodbye to Don't Ask, Don't Tell, which, while not quite dead-dead, is apparently dead enough! You can click inside any photo to open it much larger. R. Clarke Cooper is executive director of Log Cabin Republicans, which filed the lawsuit that has all but killed DADT. 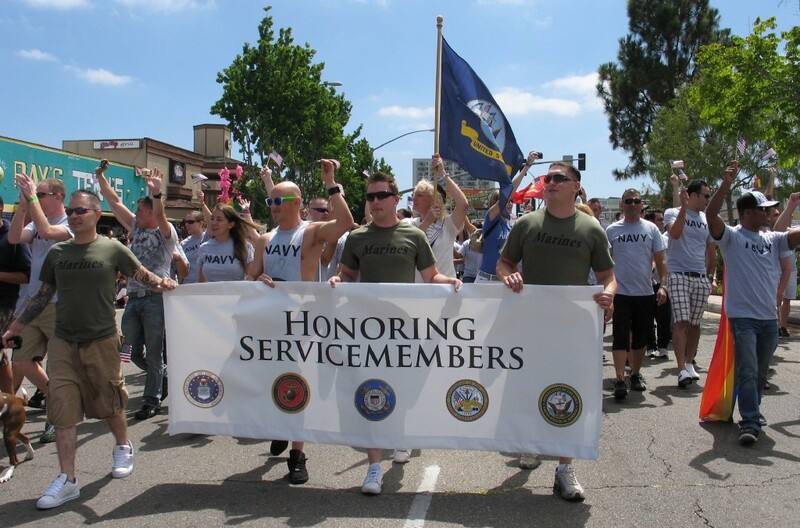 Congress has repealed DADT as well, but that process is not quite finished. This is the openly gay fellow who was the hero in the shooting of U.S. Rep. Gabrielle Giffords, D-Ariz. 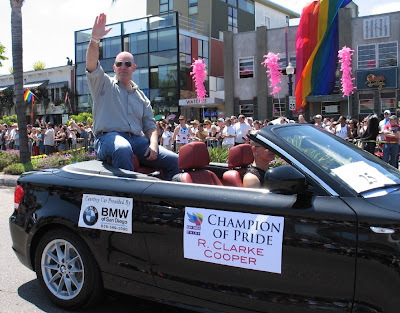 This is the openly gay speaker of the California Assembly. 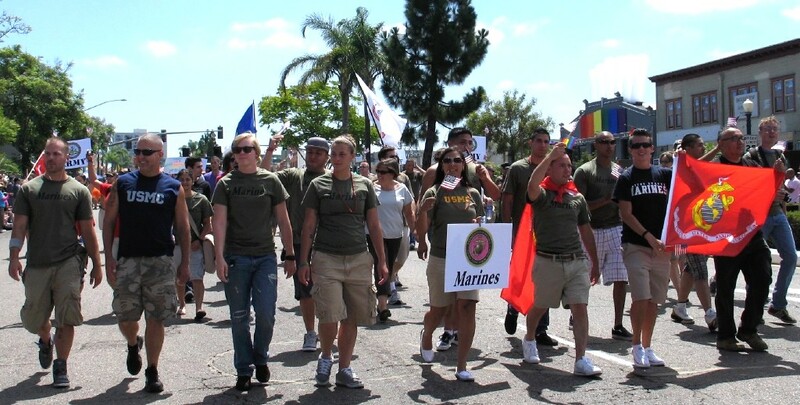 This is my openly lesbian state assemblywoman. This is our insanely pro-gay Republican mayor and his wife. This is an openly gay Republican city councilman who wants to be mayor. This is a now-openly lesbian actress who I used to watch on a TV show called Family. 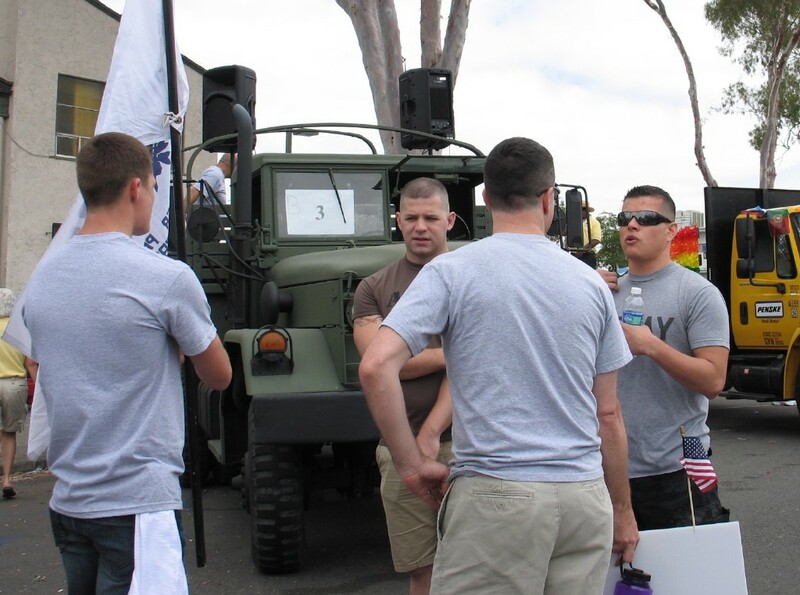 Prop 8: Back to the ballot in 2012?